JDK Creations is your key to your camper remodeling in Austin, Texas. JDK Creations is a locally owned business operating in the Austin, Texas area. We began our work with Airstream® trailers in Austin by coincidence but have become experts in transforming them into the perfect mobile work and leisure environments. We have extensive experience in carpentry, painting, general construction, and design. This skill set and experience allows us to outfit a trailer, bus, or truck interior for your unique needs. We can redesign the exterior to create additional windows or other unique details you would like to set your vehicle apart from the rest. Airstream® trailers can have a simple aluminum finish or we can take our time to polish them to look like a silver bullet. Yee Ha! Vehicles can be wrapped with a custom designs or painted and outfitted with details that fit your needs. Our work is definitely not limited to just the aluminum fever. We can also do customization work on mobile vending or recreational vehicles. We have experience working with smaller vehicles like ice cream trucks as well as larger vehicles like buses. 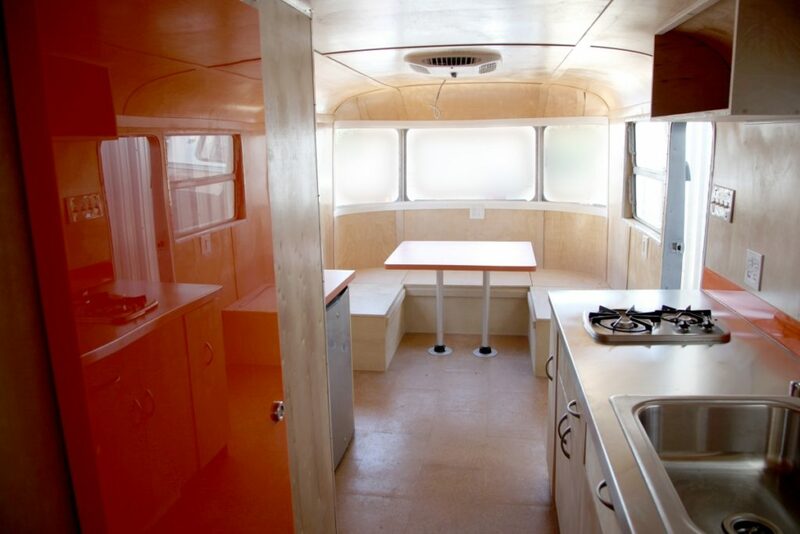 Recreational vehicle remodel is our passion. Let us put our passion to work for you.